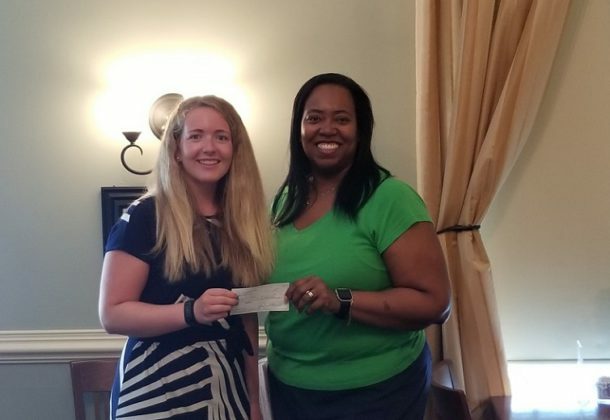 Pictured from left are Carmen Doig, scholarship recipient, and Marsha Williams, chairwoman of the Scholarship Committee of the St. Mary’s County Bar Association. The St. Mary’s County Bar Association is pleased to announce that Carmen Doig of Lexington Park was the winner of the association’s 2018 college scholarship in the amount of $1,500. Ms. Doig recently graduated from the King’s Christian Academy in Callaway and plans to attend Truett McConnell University in the fall in Cleveland, Georgia, where she will be playing volleyball and majoring in business with a focus on finance and accounting. Officers of the St. Mary’s County Bar Association are Jaymi Sterling, president; Kevin Hill, president-elect; and David Weiskopf, treasurer.